Whether you're jetting off to your weekend getaway or just stepping out the door, take your most glamorous-looking glow with you. 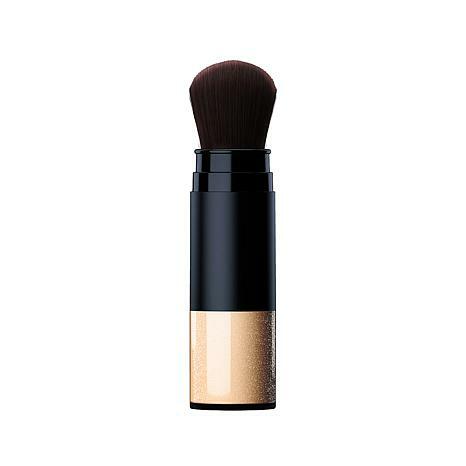 This quick-apply brush dispenses just the right amount of subtle, soft-focus radiance to skin as ultra-fine crushed gemstones reflect light and filter the look of flaws. Can you say gorgeous? 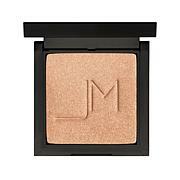 Reflects light in different directions, enhancing the complexion with a flattering "spotlight glow"
Ingredients: Mica, Synthetic Fluorphlogopite, Polymethyl Methacrylate, Zinc Stearate, Caprylic/Capric Triglyceride, Nylon-12, Potassium Sorbate, Phenoxyethanol, Tin Oxide, May Contain: Iron Oxides (CI 77491), Titanium Dioxide (CI 77891), Chromium Oxide Greens (CI 77288), Ferric Ferrocyanide (CI 77510), Carmine (CI 75470). I STARTED OUT 2 WEEKS AGO ORDERING JM PRODUCTS, SO FAR I'VE ORDER HIS MAKE-UP AND BLUSH AND THEY ARE SO GOOD SO NEXT I TRY THIS, ME BEING 67yrs THINKING THIS WOULD BE THE WRONG POWDER. I WAS SO AMAZED AFTER JUST BRUSHING MY FACE WITH THIS EASY ALPLICATOR. I LOOKED AS SOON AS I APLY THIS AND BELIEVE ME I SEEN A GLOW IN MY FACE I HAD NOT SEEN IN 20 YEARS, I LOOKED 15yrs YOUNGER!! SO I'M IN THE PROCESS OF CHANGING ALL MY OTHER MAKE-UP NEEDS TO JM LINE.BELIEVE ME I'VE TRIED MANY NAME BRANDS OF ALL GREAT LINES OF MAKE-UP AND JM IS THE BEST. TODAY I RECEIVED HIS BLUSH (TEASE) AND 2 LIPSTICKS THEN 4 OF HIS LIP GLOSS, I LOVE THEM ALL, FIRST HIS LINE GOES A LONG WAY AND THEN IT TAKES VERY LITTLE, THIS TELLS ME I GET WHAT I PAY FOR!! THANKS JAY &HSN!!!! 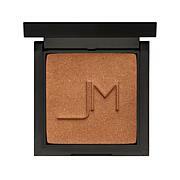 I used a variety of pressed and finishing powders but find this product to be my favorite. 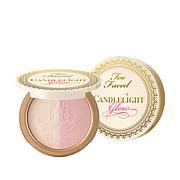 It like the way that the powder dispensing and it gives your skin a nice polished finish and glow to the foundation. I get compliments all the time and asked what makeup do I use. 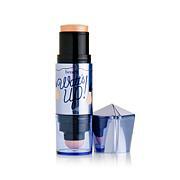 Just received it yesterday and love it.Not too glittery and really gives a nice glow on your skin.I put it on when I came home after having make up on all day and I looked more rested and my make up was refreshed. This morning put it over fresh make up and it looks great. I do agree with some of the other reviewers, that it is hard to tell if you are even getting any product to dispense. But when I do look I can see the highlight that it provides. I think that it is so fine of a formula that it isn't meant to be an obvious look rather a subtle highlight. I do like it though, I like the color of the powder. But I wish it wasn't so costly. Aside from that I do like it.